We genealogists aim for accuracy in representing identities and relationships. We want to show why we believe people were who we say they were. We want to show that they really belonged with the folks we attach them to. We follow the Genealogical Proof Standard to ensure that our research is thorough, our sources well documented, our reasoning levelheaded, and our conflicts resolved. Then we write up our conclusions. Standards 51 through 54 in Genealogy Standards describe the qualities we aim for in writing our proofs for the public, for ourselves, and for posterity. Standard 53 offers a division of proofs into statements, summaries, and arguments. Proof statements are the simplest and reflect direct evidence. We’ve looked at these in the first and second “Ten-Minute Methodology” posts. Proof summaries are a little more complex and also rest on direct evidence. They are “relatively straightforward” and can be lists or narratives. Always, they present documentation. It there are conflicts, they are minor and easily explained. Both proof summaries and arguments can stand alone as work samples, or they may appear as parts of larger works. They can be very similar, only the complexity of the case distinguishing the two. What can be confusing is when a proof is a summary and when it’s an argument, and what to do about proofs that seem to be hybrids that aren’t defined in Genealogy Standards. Over time terminology has been changing. An example of a proof summary in an older publication may look more like the current definition of a proof argument. There’s a big overlap between proof summaries and proof arguments in terms of their complexity and length: the grey area. Occasionally our proofs will naturally fall into the grey area, and that’s ok.
Standard 53 gives us a general idea, from the type and complexity of evidence we have amassed, what type of proof we will write. Standard 54 reminds us of the importance of organizing evidence and sequencing it logically so it convinces readers of the accuracy of our conclusions. It’s fine and well to describe what proof should look like, but it’s important to see what it does look like. There’s an example of proofs that are part of a larger work right on the BCG website. This ascending genealogy provides proofs broken out into “Parentage” sections for three women. Elizabeth’s parentage, pages 1–2, rests on direct evidence. This is a proof in narrative format. Another, more complex, narrative on pages 12–13 summarizes proof of Mary’s parentage with a focus on her mother. It requires five paragraphs to describe and explain the evidence for Mary’s mother’s identity as well as the parental relationship.  We see how the type and length of proof used depend on the type, quality, and reliability of the evidence available. More narrative is required to explain reasoning in cases where we have only second-hand information or when conflicts and/or indirect evidence is added into the mix. What we call our proofs is of minimal significance. What is really important is that we get them written! Next time we’ll look at more published examples of proofs. Many thanks to Alison Hare, Laura DeGrazia, Stefani Evans, and Tom Jones for helpful input. 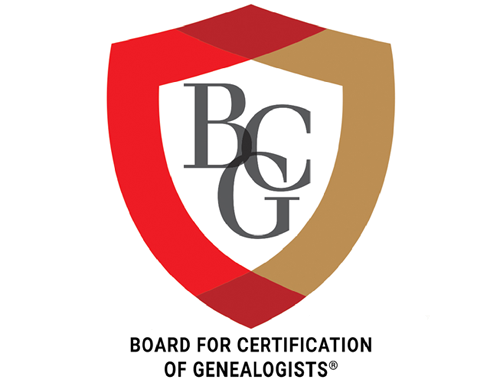 Board for Certification of Genealogists (BCG), Genealogy Standards (Nashville: Ancestry.com, 2014), 31. Thomas W. Jones, Mastering Genealogical Proof (Arlington, Va.: National Genealogical Society, 2013), 87. Connie Lenzen, “The Maternal Line of Elizabeth (Niesz) Titus,” 2007, Board for Certification of Genealogists (Titus Lineage : accessed 11 January 2015).